Cornwall Learning is a Cornwall Council organisation which focuses on improving the standards, aspirations and skills of children, young people and those working with them. Their Education Business Partnership promotes work experience, entrepreneurial flair, enterprise and a knowledge and understanding of business. 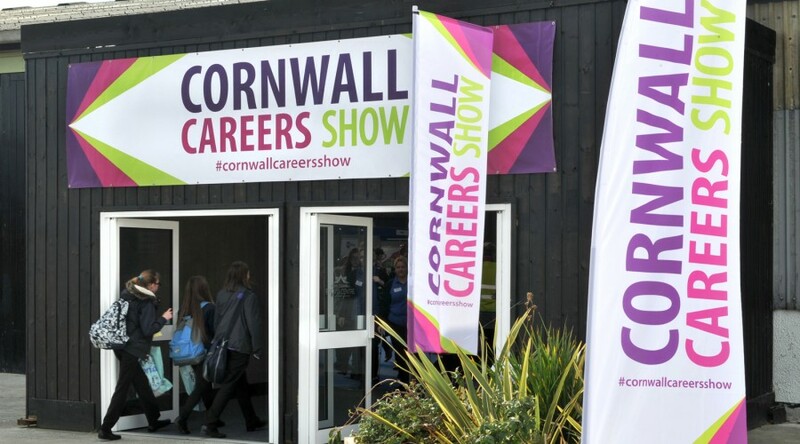 The Cornwall Careers Show 2015 was a significant event organised by Cornwall Education Business Partnership and run at Royal Cornwall Showground from 15th – 16th October. Over the two days of the Show, over 3,800 young people interacted with 114 exhibiting organisations offering ‘have a go’ activities to gain inspiration and explore the opportunities for future learning and career paths. PFA Research supported the event as an exhibitor, and gathered feedback from both young people and exhibitors. An exit survey was conducted amongst the young people (aged from 14-25) who had just experienced the show, using tablet devices or paper questionnaire. The vast majority of responses were gathered on tablets, which young people accepted readily and proved a quicker, more accurate data collection tool. Exhibitors were handed a paper questionnaire to complete and return at the end of the second day, giving them time to complete the survey at their convenience. Over the two days of the Show, 621 young people participated in the survey – a 16% response rate. 63% of exhibitors provided feedback – a 63% response. The feedback from young people demonstrated that the Careers Show provided real inspiration and had a genuine impact on their awareness and understanding of the varied careers available to them. Those that had been prepared for the event through a careers lesson beforehand gained more from the experience, and the findings highlighted some differences between genders in considering apprenticeships. Exhibitors benefited from connecting with schools and young people, increasing awareness of their sector and what jobs they have to offer, and through networking and making new business contacts. The research findings were used by the Cornwall EBP team to assess the effectiveness and inform planning of future events. It also informed what additional education and support provision in other areas such as apprenticeships is required.